Older Californians are growing in number, at 15% of the state’s population in 2017. The number of Californians 65 years of age and older increased 2% from the prior year. Four-out-of-five Baby Boomers are homeowners today and will remain so in retirement, though most will sell and downsize, purchasing a replacement home of equal or lesser price. Many are expected to relocate from the suburbs to more convenient city-living. Among potential first-time homebuyers aged 25-34, approximately 34% own a home, down from 38% in 2000. While the population of 25-34 year-olds is growing around 1%-2% each year, expect their rate of homeownership to continue to remain low through at least 2020 as they slowly muster savings for down payments and grapple with rising interest rates. Pair the mass relocation of the Baby Boomers with Generation Y’s entry into the housing market and watch home sales volume grow considerably in the years following the next recession, likely to arrive in 2020. 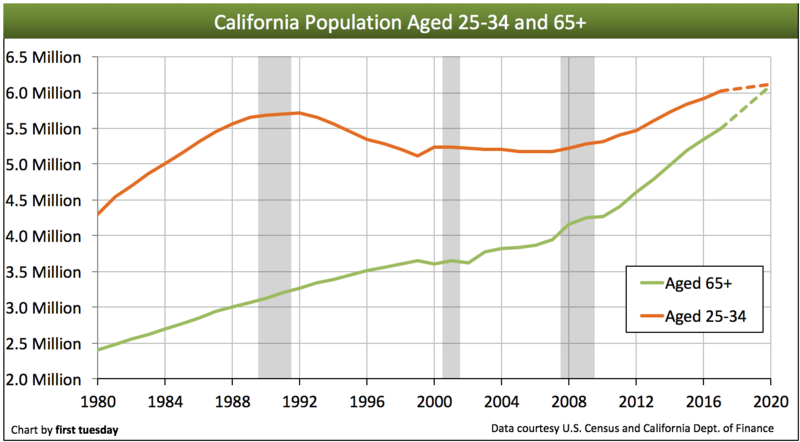 This Great Confluence of retirees and Generation Y will create a fluid and stable housing market for California. Updated July 18, 2018. Original copy posted May 2011. 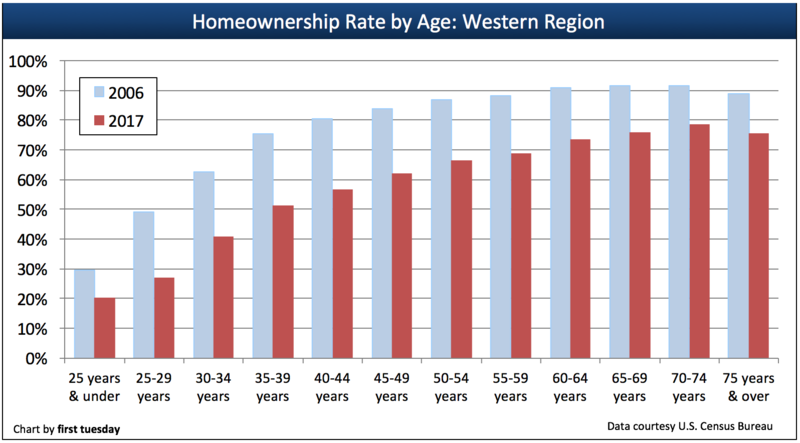 The two charts above track homeownership by age in the western census region and California’s population of citizens aged 65 and over, respectively. In combination, these two charts tell us about the future direction of real estate ownership and sales transactions among the rapidly growing population of California’s senior citizens. At about the age of 65, most Californians stop working full time and begin capitalizing on the benefits of social security, Medicare and their years of saving. The decision to retire is often swiftly followed by a series of lifestyle changes as retirees take advantage of their newly-increased liberty and accumulated financial power. One of the most significant changes is the sale of the retiree’s current home and the corresponding move to a new, more compact and centralized residence with a better year-round climate or in closer proximity to family. 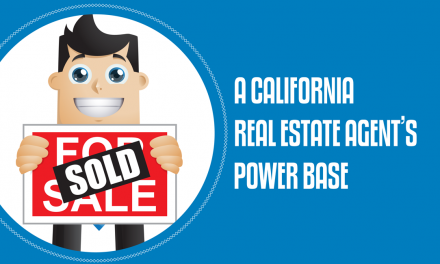 As California’s population continues to age, senior citizens will exert increasing influence over both the housing market and every other aspect of the California economy. California citizens aged 65-75 are more likely to own property than any other age group, as displayed on the first of the above charts. The accumulated equity in their homes, combined with their savings from a lifetime’s employment allows them to exert a disproportionately strong influence upon the statewide housing market. 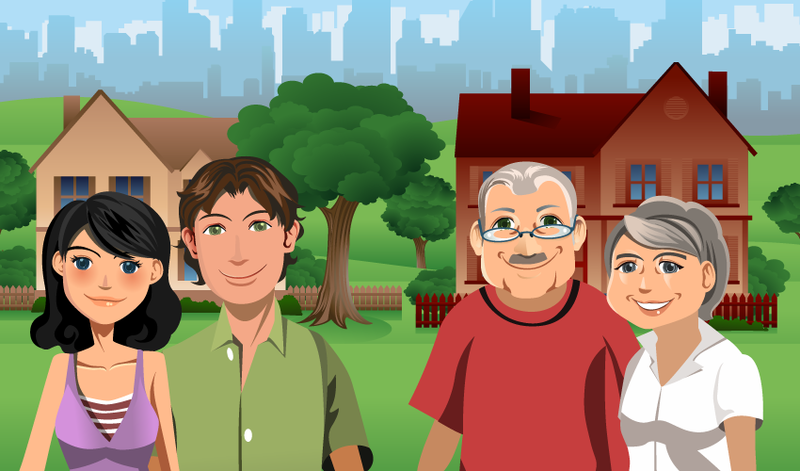 When these citizens begin to change their spending and living habits in retirement, they create new opportunities for multiple listing service (MLS) brokers and agents who market single family residences (SFRs). The number of people in California aged 65 and older is displayed on the second of the above charts. This rapidly growing segment of the population is traditionally made up of the retired and soon-to-be retired. Over the past twenty years, retirees have exerted minimal influence in real estate transactions, as the age group of citizens over 65 was comparatively small. The generations born between 1915 and 1935 – during the Great Depression and World War II – did not have the numbers necessary to remold the housing market in their own image. That is about to change dramatically, as the above population chart demonstrates. The massive Baby Boomer generation is defined by the U.S. Census Bureau as the generation born between 1946 and 1964. As they begin to retire en masse (a process which has already started) every aspect of the state’s economy will change. The Boomers, the largest age group behind Generation Y in California, have spent the last 30 years accumulating their wealth (primarily in the form of stock – not cash) and generally living in large, suburban SFRs. Although the 2008 Great Recession wiped out some of their savings and put a few of these SFRs on the market (or in foreclosure) before their time, the majority of the Boomers are still on the brink of retirement. When they do retire, “dis-saving” will be a collective act. They will liquidate their stocks, sell their current homes and embark, unfettered, on the next stage of their lives.The impending wave of retirees has been briefly delayed by the 2008 recession. Many seniors held the majority of their wealth in the form of paper – stocks – and saw much of it erased overnight when the stock market crash turned their 401Ks into 101Ks. However, Boomer retirements were merely postponed. 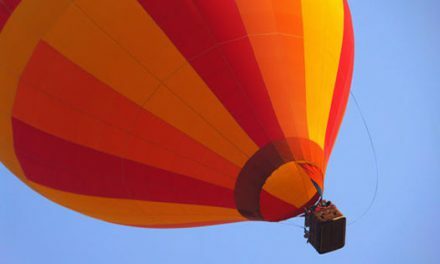 Now that the stock market has largely rebounded and home prices have rising (however momentarily), retirees will soon regain their pre-recession confidence and perhaps some of their spending habits. The shadow inventory of retiree homes for sale will thus manifest itself sooner rather than later. Those homes will be key factors in the elimination of the current rigor mortis in the housing industry. Retirees generally want to sell and relocate, and most will buy new SFRs; likely more than 70% will acquire a smaller (though not necessarily less expensive) residence than the one they have left. The impending increase in suburban SFR home sales among senior citizens will keep housing prices in outlying bedroom communities depressed, limiting the gain Boomers take on a sale. This is a story of supply and demand economics that their generation knows all too well. Due to their overwhelming numbers, the Boomers were educated in temporary grade school and high school buildings. They all hit the job market within too short of a time period and salaries dropped accordingly. When Reagan fired all the Federal Aviation Administration (FAA) tower traffic personnel, he was able to replace them with equally good and well-educated talent in just a few days. The Boomers began renting apartments simultaneously in the early 1980s, driving up rents and leading to massive apartment overbuilding, which took more than a decade for the market to digest. A similar problem of SFR overbuilding erupted by the end of the 1980s for the same reasons, and was accompanied by a boom in housing prices ending with the 1990 recession. In the late 1990s the Boomers began to invest their accumulating wealth in the stock market, which generated a stock pricing bubble. The ensuing collapse of their financial empires wiped out much of this wealth. Soon the Boomers will begin to sell off a considerable amount of the stock they still retain. Such asset reduction will continue for the next 15 years and kill any movement in the stock market. Current rises in stocks are the result of mere speculation due to historically low interest rates in relation to inflation. 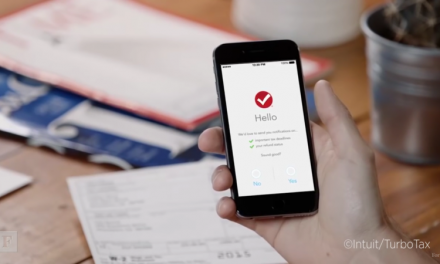 Billions of dollars in cash is currently waiting to be invested when the economy recovers. Historical trends in Boomer conduct will also prove true now as retirees sell their current homes, looking to find replacement properties and live freer lives. The first Boomers to retire, those on the cusp of the population boom, have somewhat higher average earnings and savings than those who will follow. Consequently, the retirees of 2008-2018 will have the most money to spend, and will often have a second or third home to live in or sell. Those retiring after 2018 will (generally) have somewhat less money, and thus less purchasing power upon their retirement. Those who retire later will also have a greater disadvantage due to the competition from other retirees in their generation. The homes they sell will fetch lower prices, the urban condos and retirement-community dwellings will be full before they arrive and prices will be rising. The price reduction of large suburban SFRs caused by Boomer home sales will be further aggravated by a corresponding rise in the values of the more desirable replacement homes in near urban centers. While we cannot predict with certainty which properties will be involved or just where they will be, historical and current trends give us some hints. Relocation: where will they go? Homeowners in California do not tend to rent upon retirement, as shown by the first chart above. In fact, homeownership for those aged 75 and older remains 10% higher than for any age group under 50. Moreover, the percentage of citizens owning homes over the age of 75 grew even through the recession, and is currently near its highest level since 2002. Homeownership is a well-entrenched habit among the Boomer generation; a fact not likely to change because of increased age. However, this does not mean retirees remain stationary. Sooner or later they decide to move to a new location that has a better climate or is closer to other family members. With their collective savings and equity, most will have the resources to do so with ease. Retirees have traditionally moved to smaller, more conveniently-located properties that are closer to urban centers. The U.S. Census Bureau reported in 2014 that approximately 12% of the population in California’s metropolitan areas is 65 or older. To complicate Boomer relocation, the younger generation is better educated and more mobile, migrating with increasing frequency to the cities. Their parents are likely to follow. They will be attracted by the increased access to public transportation, the proximity to cultural and artistic institutions and (not least important) the closeness of their children and grandchildren. As more senior citizens retire, interest in condos and other high-density residences that cater to the urban lifestyle will increase. Ownership of rental properties, which allow a more flexible and mobile lifestyle, is more cost-effective than ownership of SFRs and thus will most likely also see a bump. The plight of California to be solved by… cities? As retirees begin to relocate, opportunities will arise for real estate brokers and their agents to assist. The most directly affected housing developments will be those that cater specifically to the needs of senior citizens. California law exempts seniors-only housing developments from ordinary restrictions on age discrimination. As the demand for senior housing increases, more developers and landlords will take advantage of this exemption. The range in pricing of high-density (high-rise) housing will also work to separate the more wealthy (retirees) from the less wealthy younger generation. Expansion of existing SFRs to accommodate new relatives-as-tenants is another phenomenon that will increase. California legislation has paved the way in this area. In 2003, the legislature required cities to permit the construction of what are generally referred to as casitas or granny flats; attached, freestanding or over-the-garage apartments with no direct access to the main house. The construction of such a flat transforms a SFR into a two-unit property within single-family zoning, a first step in California’s more efficient use of land. Casitas are sometimes used by homeowners to gain extra rental income, but they are most often used initially as a new residence for elderly relatives or in-laws. Increased living density will thus be the case not only for cities, but also for suburban areas, which will reap the benefits of a more close-knit and energy-efficient population (namely, a better fiber of social, civic and cultural life, and the development of restaurants, theaters, bars, entertainment and specialty shops). The vast majority of retirees will continue to pursue some form of traditional ownership, as can be seen in the above chart of homeownership rates. As these retirees begin to relocate, opportunities will arise for real estate brokers and their agents to assist them in their transition. Farsighted hometown brokers will prepare for this migration now, offering relocation services to Boomers who move locally. The U.S. Census Bureau reports 50% of senior citizens who relocate choose to move to a new residence within the same community. On the other hand, the impact of the geriatric shift on the sale of suburban homes in California may be ameliorated by emigration. Many retirees have historically chosen to leave California for states with a lower cost of living and a more relaxed, “retirement-friendly” reputation. Foremost among these retirement states are Florida, Texas and Arizona. Those with lower retirement pensions may relocate to Mexico. Brokers can be of service to these sellers/homebuyers as well. They need to take the opportunity to suggest new residences in retirement-friendly communities where the broker has established contacts with cooperating brokers, and profit from fee splitting for referrals on these relocations. first tuesday forecasts a solid return of buyers to the housing market by 2018, peaking between 2019 and 2021, as the next and larger generation (Generation Y) of homebuyers looks to purchase their first residence. This influx of new homebuyers coincides perfectly with the beginning of the retirement boom, which will release thousands of Boomer SFRs onto the market. It remains to be seen whether these old, poorly constructed suburban SFRs will be of interest to young homebuyers. Signs indicate that demand, among the young as well as the old, will be for commuter-friendly property closer to the high-skill jobs and urban center culture. It will be up to cities to provide zoning for a denser population, up to builders to create these urban high-rise residences, and the duty of brokers and agents to bring them to market. People who have seen the growth in the value of their home may discover that selling it may result in capital gain taxes of hundreds of thousands of dollars. In addition, their property taxes may rise substantially if they decide to purchase another home. This may cause them to rent rather than sell their existing home. If so, rents may not rise as fast as home purchase prices. This “Fall” in the relative price of rentals appears to already be taking place. . As an alternative, existing home owners may decide to wait until the death of their spouse so that their house can be sold on a stepped up basis. Has the above analysis considered all these factors. If so, when will the increased number of home sales take place? Projecting current trends may enable this to be determined. It would be unfortunate if elderly people continue living in their homes even if doing so does not meet their needs. This deprives young families from buying a home for their families. No place in California or anywhere in the nation outside a major city will be safe anymore. Currently, as of July 31, 2018 there are 17 fires going on in California and fire season hasn’t even begun yet. One of those fires is covering more than 120 square miles of more than 100,000 acres. There are plenty of fires in major cities but they are quickly stopped from spreading throughout the city because major cities include dozens of fire stations with a time of less than five minutes for any firemen to get to a fire. Contrast that with fireman outside major cities which can take up to 30 or more minutes to arrive at a fire and often times only one or two fire stations. Then you have got nothing but dry grass and trees which sparked up is like having a home made bomb. And this has been going on for at least 5 years now as the weather has changed. After you get burned out twice, as some of my friends have, you no longer ever want to live outside a major city. You move outside a major city at your own risk and do not plan on keeping any valuable or personal possessions inside a home when you live somewhere in the boondocks and be prepared to get the hell out of there at a moments notice even at 3 a.m. or a fire could be right on top of you in minutes with no escape. Retires are going to realize that they may not be living in the most ideal place in a city but it is a lot more secure and so they will not move. After 53 years in California, my wife and I retired and moved to Las Cruces, New Mexico. We sold our house in California, paid off the existing mortgage, purchased a brand new home in Las Cruces, and still have nearly $50k left over to buy new furniture, etc. Of course, I have a monthly pension that will pay all the bills and continue to grow our IRA nest egg which is a healthy and considerable sum. In three years, I will be able to collect social security and increase our annual income to approximately $50k a year, debt free. We plan to travel and invest in rental properties using a self-directed IRA to diversify our investment portfolio away from the volatile stock market. We don’t need to grow our savings as much as we’d like to shelter our investments from the sudden collapse of a bear market. Our 401k was devastated by the 2007/2008 real estate bubble burst. Those thinking of moving from California to Oregon to retire should take a hard look at Las Cruces, New Mexico. I’m glad we did. This is why Proposition 13 works and how it is meant to work. Retired folks who choose to stay in their homes aren’t forced out by higher and higher property taxes (higher State taxes may force them to leave, but that’s another debate). When the retiree sells their home the property taxes automatically adjusts to the current property value. 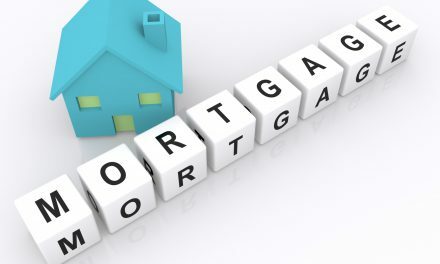 The cycle starts over and the new buyers are aware of what their housing costs are and will be for the foreseeable future (depending on their mortgage of choice). California is part of a world wide economy and not a closed economy. The effect of the “boomers” in the grand scheme of things is not near as great as the parochial author implies. I see retiring boomers moving out of California, I have people I know doing just that. With the ever higher taxes and government intrusion of this states government, leaving is a very good option. What is happening is the tax payers leaving and tax users staying or moving in. A boomer cashing out of their house in California can leave buy a much nicer home and still have a lot of money left over for retirement. As a born and bred city dweller I am also convinced the majority of people will continue to live in the cities, but I also believe that resort areas will pull many out to the country to enjoy the peace and serenity found only in the country. With modern conveniences now prevalent among today’s rural communities, satellite TV, internet services, e-readers these rural areas now offer the benefits of both worlds. Also, today’s seniors are much more active than earlier generations and can benefit more fully in the outdoor activities available in modern day resort areas. With urban environments becoming more dense and polluted the escape to the lifestyle country living provides will encourage more people to get out of the cities. The above article gives a very analytical summary of what is currently transpiring in our state and is quite thorough. Seniors not only exert a powerful influence on the housing market but also exert a strong political influence, especially on the local level. Currently we find ourselves in the midst of a monumental international struggle, as the minions of the Banking Cabal which controls certain Western capitals and exerts its power in New York and Los Angeles in its financial and media empires, is locked in a life-and-death struggle to maintain its grip on power. Opposing this Cabal is the growing power of the BRICS alliance, led by Russia and China. Vladimir Putin knows full well the goal of his adversary is the destruction of Russia, and one main weapon towards that end is the collapsing of oil prices. Putin has vowed to weather the storm and continues to stand for Christianity, morality, decency, and order while being opposed by those who are trying to throw the world into chaos. Who knows better than the “baby boomers” what the ravages of war can do—world war. They grew up hearing stories from their fathers who fought the last world war, and who themselves grew up during the Great Depression. Within the minds and hearts of the baby boomers are the memories (history) of what this nation and this world endured during those dark years from 1929-1945. They, perhaps more than any, know what a third world war would do to the planet and its people. The baby boomers are among the first to awaken to the realities of the current grave situation and see things in a “truer” light. As the controlled media continues to spread its half-truths and untruths, it befalls the boomers to keep an eye to the past for perspective as they help shape what we all hope will be a future free of the negative influences currently present in the halls of power. Overlaying the mass retirements of the baby boomers is the hovering crisis of the currency. Is the dollar about to lose its world reserve currency status? That seems inevitable due to the weighty debts crushing the nation, thanks to the Federal Reserve. What will replace it? Will the US begin issuing Treasury notes in lieu of Federal Reserve notes? Since it is the baby boomers who hold most of the cash in America, it is they who would be most affected by any currency devaluation or collapse. It behooves all conscious persons to watch closely now what is happening on the geopolitical scene. That WILL impact us all……………..whether you believe it or not. The future may belong to the young, but for now, it is the baby boomers who are still shaping it, as many of them remain in positions of influence. May they chose wisely when the time comes. of big cities. Many retirement areas like Hemet have gone down hill. longer a need to downsize. Appreciate your insights and education. always you are “right on” Keep up the good work.